Three months after Ontario’s police watchdog called for the reinvestigation of nine cases involving the deaths of Indigenous people, the families of the victims are still waiting to hear from the Thunder Bay police on what the service plans to do next. Doubt now gnaws at the hope once sparked after the Office of the Independent Police Review Director (OIPRD) released a report in December 2018 concluding that systemic racism impacted the effectiveness of Thunder Bay police investigations into the deaths of Indigenous victims. And their families want answers. “We don’t even know what happens next,” said Anna Betty Achneepineskum, who has two relatives on the list of nine victims whose cases the OIPRD called on the police to reopen. Achneepineskum was also the liaison between victims’ families and the OIPRD during the watchdog’s systemic racism investigation into the Thunder Bay police. “Collectively, we have to demand something takes place,” said Achneepineskum, a former deputy grand chief for the Nishnawbe Aski Nation. Thunder Bay police Chief Sylvie Hauth said in an emailed statement to CBC News that the force has yet to decide on how it will respond to the OIPRD’s recommendation on the nine cases. “We are in the process of lining up meetings with various parties, including the chief coroner’s office, in early April to identify next steps,” said Hauth, in the statement. Thunder Bay City Council recently approved an increase of about $1 million to the police’s budget that the agency requested to deal with the OIPRD recommendations. Hauth told the police service’s board last week that the level of violence facing the city continues to strain its limited resources. Hauth said the police ran $1.2 million over budget in 2018 partly because of overtime costs associated with investigations of violent crime. The steady drumbeat of violent deaths continues unabated in a city that has been Canada’s murder capital five times in the last decade. The city recorded the country’s highest homicide rates in 2017, 2016, 2014, 2012 and 2010. Last week, the city faced two murders in two days. Shortly after midnight Tuesday, a man walking along a paved bike path to buy cigarettes found a severely beaten woman who was eventually pronounced dead. By week’s end, Thunder Bay police had charged a man and a woman with second-degree murder in connection with the death. On Wednesday, police received a 911 report that a man had been beaten by a bat. By the time officers arrived on the scene one man was found dead and another severely beaten. A suspect was apprehended near the scene and charged with second-degree murder. But the failures in the investigations itemized by the OIPRD report still loom like a shadow over the Thunder Bay police. Achneepineskum’s niece Marie Spence, 30, was found on April 30, 2016, along a bike path, clutching a clump of grass in one hand and a branch in the other. Four days after she was found, Thunder Bay police issued a news release saying they didn’t suspect foul play in her death after concluding she died of hypothermia. The OIPRD report said the probe of Spence’s death was riddled with failures from police investigators and the local coroner. There were multiple signs of injury on her body, and possible leads were allowed to go cold. Achneepineskum is also the great-aunt of Arron Loon, 20, who was found on March 25, 2015, in a fetal position in the snow near a pathway. Thunder Bay police closed the case as an accidental death caused by hypothermia. The OIPRD report said there was no seal placed on the body bag and police investigators didn’t keep track of footprints around the body or interview all individuals who were last known to be with Loon, who was found with multiple fresh injuries. 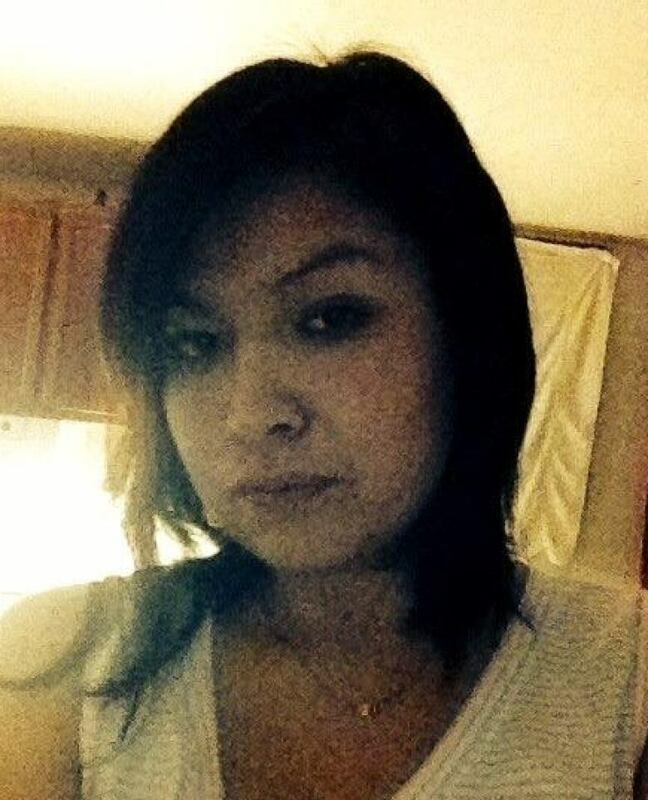 Thunder Bay police also concluded hypothermia as the cause of death in the case of Christina Gliddy, 28, a mother from Wunnumin Lake First Nation, which sits 506 kilometres north of Thunder Bay. Gliddy was found on March 29, 2016, clinging to the edge of life by a train bridge spanning the Neebing-McIntyre Floodway, which earned the nickname “the river of tears” because of the number of lives that have ended in its waters. Last Tuesday, her mother Victoria Gliddy sat in the backseat of a car and watched her daughter Delilah Ostamus climb over a snowbank and place tobacco into the river near the spot were Christina Gliddy was found. Victoria Gliddy is now in a wheelchair after her left foot was amputated in December around the same time the OIPRD released its report calling for the reopening of the nine cases, including that of her daughter Christina Gliddy, who left behind one child. The OIPRD report said Thunder Bay police investigators never ran the DNA of the man who was with her the night before she died. If they did they would have known he was on an offender registry. Investigators also never followed up on his claims that he saw a group of people approaching after he left her. Victoria Gliddy, who currently lives in a homeless shelter and sometimes begs for change with a marker-scrawled cardboard sign that reads, “homeless, hungry, anything helps, Godbless,” said there are too many questions around her daughter’s death. She said she’s also recently heard of the name of another man who may have been with her daughter the night before she died, but it remains just whispers. “I guess no one wants to talk about it,” she said. Ostamus last saw her sister a month before she died. They rode the bus through the city together, just talking. “I am just patiently waiting for answers,” said Ostamus, a mother of four children who was in Thunder Bay for the week from Kingfisher Lake First Nation, about 518 kilometres north of Thunder Bay. Thunder Bay police remain under pressure to properly handle recent sudden death investigations that, on their surface, are not obvious homicides. One of those is the case of Timothy Atlookan, 25. The coroner told his mother Donna Atlookan that he died from asphyxiation caused by a jacket or sweater wrapped around his neck and attached to a tree in Paterson Park across from the courthouse in Thunder Bay where he was found on the morning of Oct. 29, 2018. One of the nine cases the OIPRD called on police to reopen was the Feb. 24, 2014, death of an 18-year-old woman who was found hanging in the bathroom of a Thunder Bay apartment. The report said police too quickly concluded the case as a suicide and failed to properly follow up on potential leads that may have cast a different light on events that led to the death. 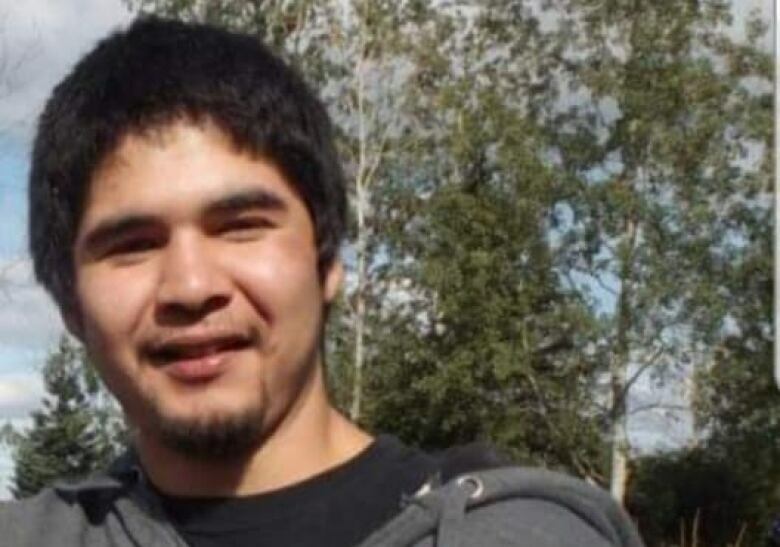 In Timothy Atlookan’s case, Thunder Bay police have kept the case open and investigators have interviewed at least two people — his ex-girlfriend and the mother of his children. Det.-Const. Brooke Pilley, who is a lead investigator on the case, said he couldn’t comment on the status of the probe pending a meeting with the family in April to update them on his findings. Timothy Atlookan’s sister, Sharrayne, said she doesn’t believe suicide took her brother. She also doesn’t think she’ll ever know what really happened. 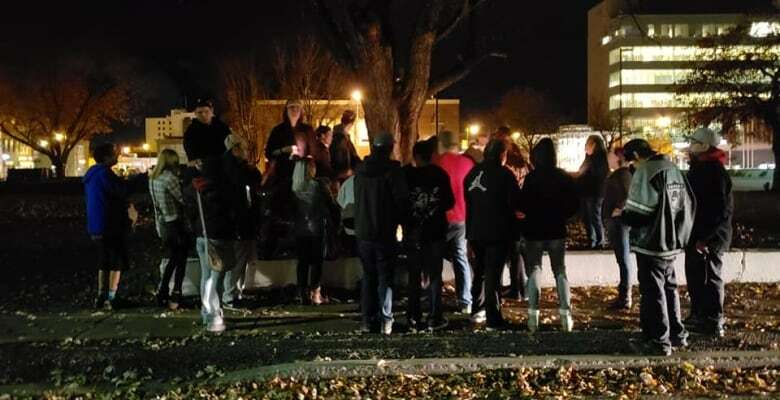 The rumours began almost immediately after the death, at the vigil which began at Newfies bar and ended around the tree where Timothy Atlookan was found, said Sharrayne Atlookan, 29. There were names and theories, talk of drug debts, bad blood, murder made to look like a suicide, a threat against Timothy Atlookan’s children if he didn’t take his own life, she said. “I am hearing a lot of different stories, and I don’t want to hear it anymore. I am sick of it. I just want it to be over,” she said. Atlookan said she has no faith in the police getting at the truth about what happened to her brother, who is buried in Eabametoong First Nation, which sits about 350 km northeast of Thunder Bay. “The police are going to tell me it was a suicide,” she said. 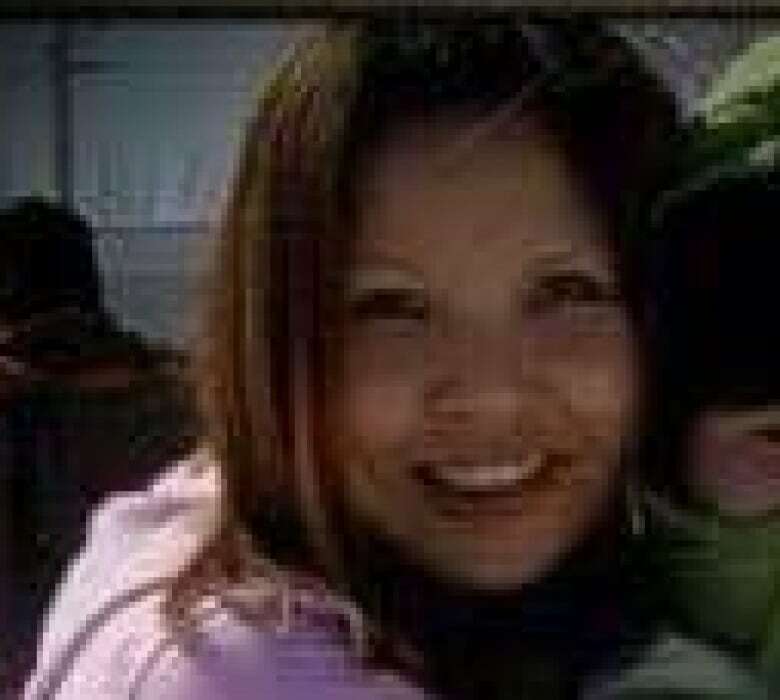 Tamarah Goupile, 19, was Timothy Atlookan’s girlfriend at the time of his death. She said he was trying to get out of a life of street level drug dealing. Goupile said he was looking for a job, a place to stay and wanted to focus on his two young children. Goupile said she was with Atlookan at Newfies, which is just down the street from Paterson Park, on the night before his death. They had been dating since August 2018 but the relationship had hit a snag, and Atlookan was trying to mend things, she said. “He grabbed my hands, and he was like, ‘I can’t lose you,'” said Goupile, from Long Lake 58 First Nation, which sits about 300 km east of Thunder Bay. They talked about leaving together, but then lost each other again amid drama involving multiple people that Sunday night. “I saw him outside. I was going to call him into my car, but he was already gone down the street,” said Goupile.